I have always admired the writings of John Buchan, and have watched the Adventures of Richard Hanney in “The Thirty-Nine Steps” more often than I shall admit to, in fact, I’m going to watch it again as I write this blog. Two points, Alfred Hitchcock did the original movie, and secondly the book version differs significantly from the film version, and it is the kind of book that once you start to read it, you won’t put it down. A third point Buchan’s sequel Greenmantle is even better. 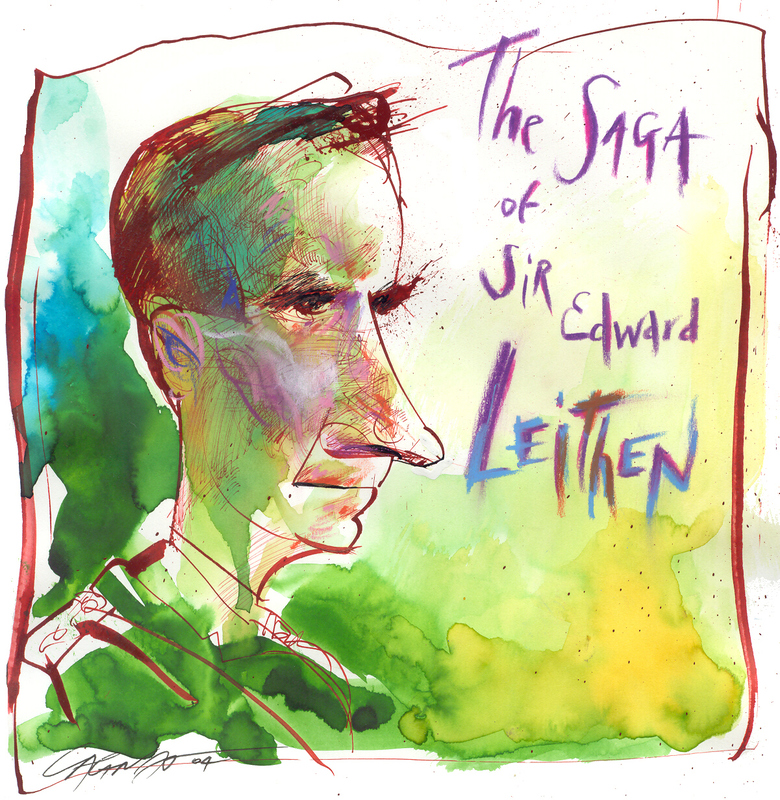 John Buchan created a second character, Sir Edward Leithen whose travels and adventures spanned three continents in many novels and some short stories. My friend John Robert Colombo has written an essay to introduce this tomb once it is published. It does require another proof reading before going to press to expunge those testy scanning typos. John Buchan in his other worldly incarnation was Lord Tweedsmuir and he was appointed by the King as The Governor General of Canada in 1936 and he died in office after a fall in 1941. It was Lord Tweedsmuir who initiated the Governor General’s Literary awards in 1937. Stephen Leacock won this award for My Discovery of the West. There is a file folder in the Yosef Karsh fonds at National Archives labelled something to the effect “1937-Tweedsmuir-Leacock” which is unfortunately empty. I suspect Mr. Karsh was the photographer who immortalized Lord Tweedsmuir presenting Stephen Leacock with this award, but lacking the photographic evidence, I cannot prove it.There is a chapter on Alberta which describes in some detail a “have-not province” before the discovery of black gold at Leduc which I can recommend to you. I continue to work on an omnibus edition of both Buchan and Leacock, but the problem is that so many other worthy projects are getting in the way. I append below are two “Gallic” interpretations of Lord Tweedsmuir by Jean-Pierre Cagnat. I don’t think the author would have been fond of them, but J-P has an eye for detail which readers of Le Monde will already be familiar.